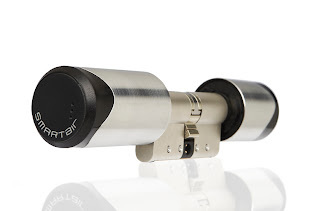 The new Smartair electronic cylinder (e-cylinder) from Mul-T-Lock offers a cost effective security solution, suitable for any application where access control is a need, but budget availability will not accommodate a hard wired option. The e-cylinder, as part of Mul-T-Lock’s Smartair product portfolio, offers all the same benefits as the Smartair electronic escutcheon; being an intelligent electronic device that is easy to use, adaptable and environmentally friendly due to its battery operation and low power consumption. “Smartair has always presented itself as a flexible all in one security solution, designed to accommodate the most simplistic or demanding access control requirements. The new Smartair e-cylinder from Mul-T-Lock is available in different lengths, to ensure the most suitable size is installed within a door.